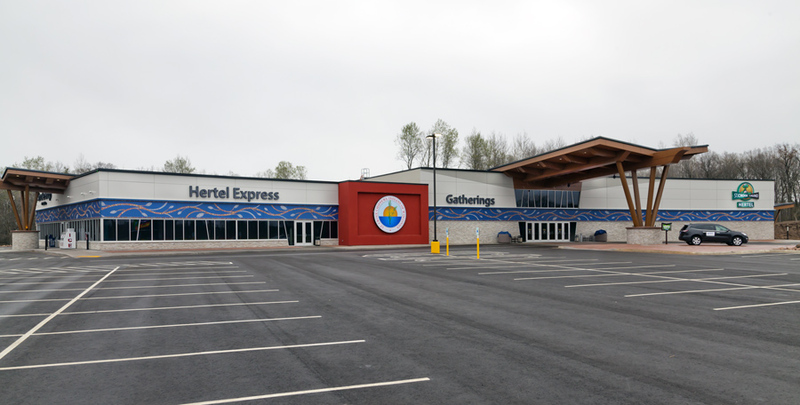 The St. Croix Casino Hertel Express is a 24-hour gaming facility operated by the St. Croix Chippewa Indians of Wisconsin on one of its five main reservation communities in Northwestern Wisconsin. The tribe operates three separate casino facilities, along with a hotel and other hospitality venues. 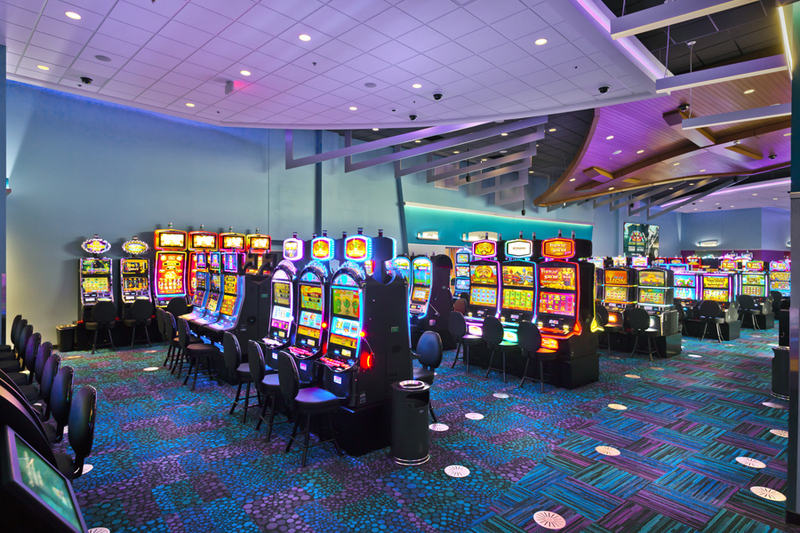 The new Hertel Express casino, completed in April 2017 with 250 slot machines, video poker and modern amenities, replaced an existing building known as the “Little Hertel Turtle Express” that was constructed in 1996. Located in Webster, Wis., the complex also offers an 850-seat outdoor amphitheater where major acts like The Oak Ridge Boys perform, a 50-seat sit-down restaurant, a convenience store with gasoline and groceries, a full-service truckers’ suite with lounge seating and shower/laundry facilities, a St. Croix Tribal Smoke Shop and a 16-stall RV park. 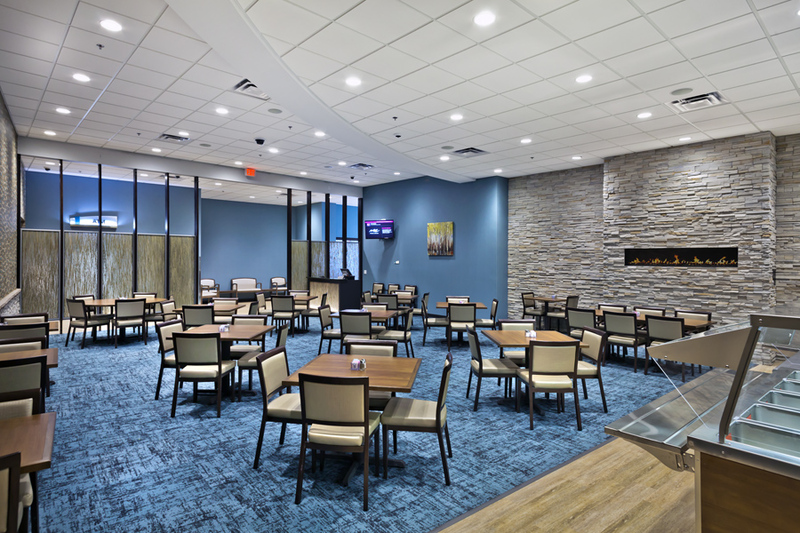 Mavid Construction was honored by the Associated General Contractors of Wisconsin with a 2018 BUILD Wisconsin Award in the Specialty Contractor-Finishes category for its work on St. Croix Casino Hertel Express. The craftsmanship of this project was highlighted by the intricate tile work of Mavid’s installers, using a high number of different tiles. 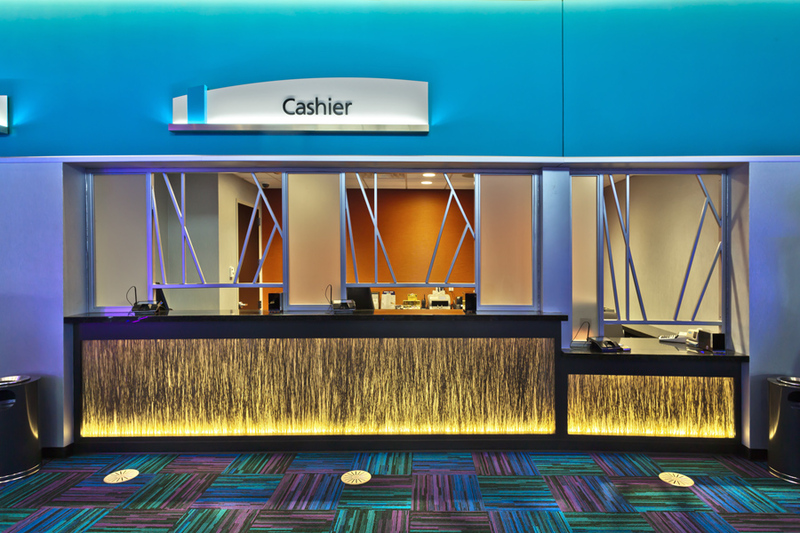 Approximately 40 tile types were utilized within the St. Croix Casino Hertel Express structure. Many were installed with the requirement of following a complicated layout. An additional aspect of this project was that a large portion of the installation was in high-visibility, heavily trafficked areas, where any blemishes or missteps would be magnified. 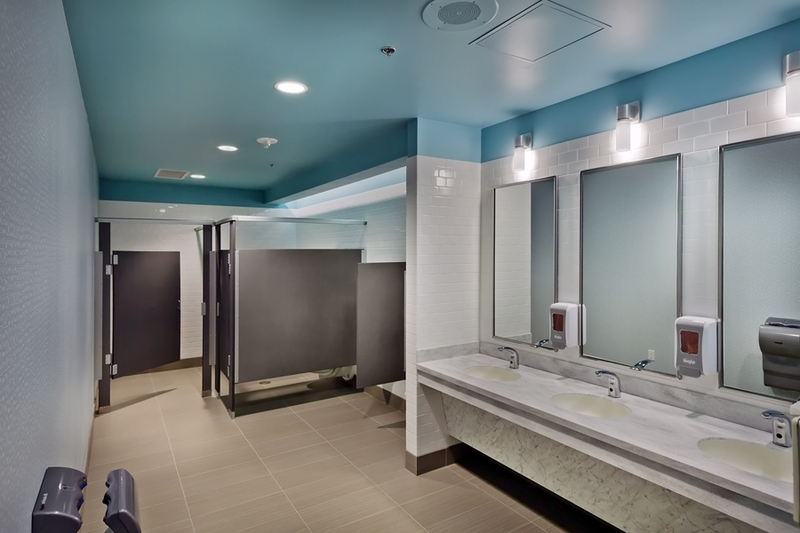 A spot-on tile installation throughout the facility was an absolute necessity. 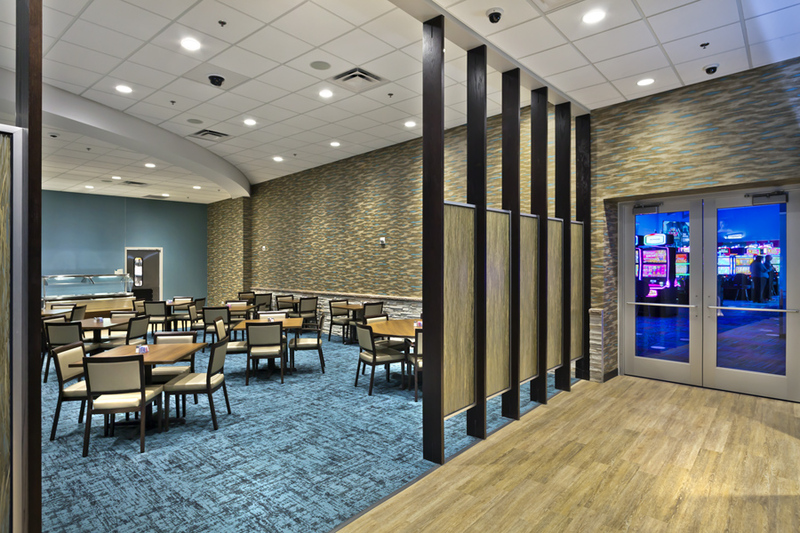 Ten different flooring products were installed within the St. Croix Casino Hertel Express complex, including 6,800 square feet of Centiva Luxury Vinyl Plank (LVP) in two colors and 1,300 SF of Interface Natural Woodgrain LVP. 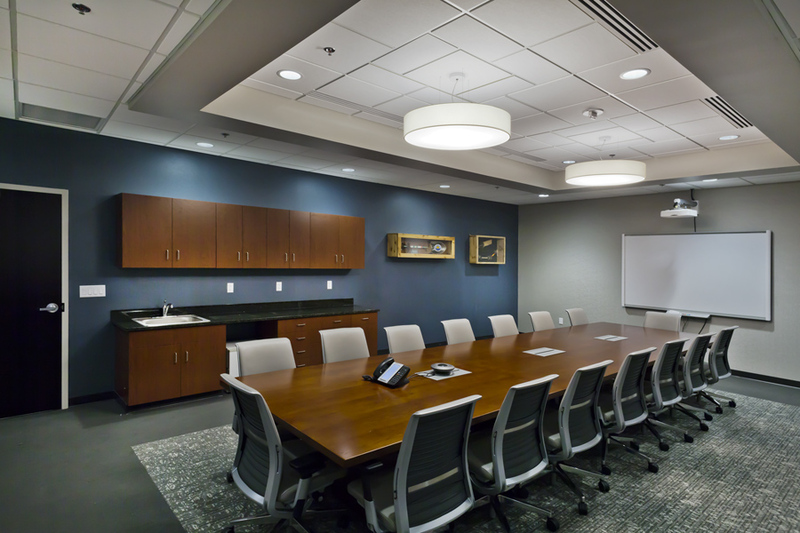 A variety of carpet tiles were utilized on this project for their blend of performance and design. These included three Interface products (Imago, Oz and Monochrome) and a pair of Masland styles (Cha Cha and Echo). Mavid carpenters installed 132,384 SF of regular and mold/moisture resistant gypsum board over 100,120 lineal feet of metal-stud framing. They also installed all wood-blocking backing and plywood, along with the exterior masonry insulation backup. 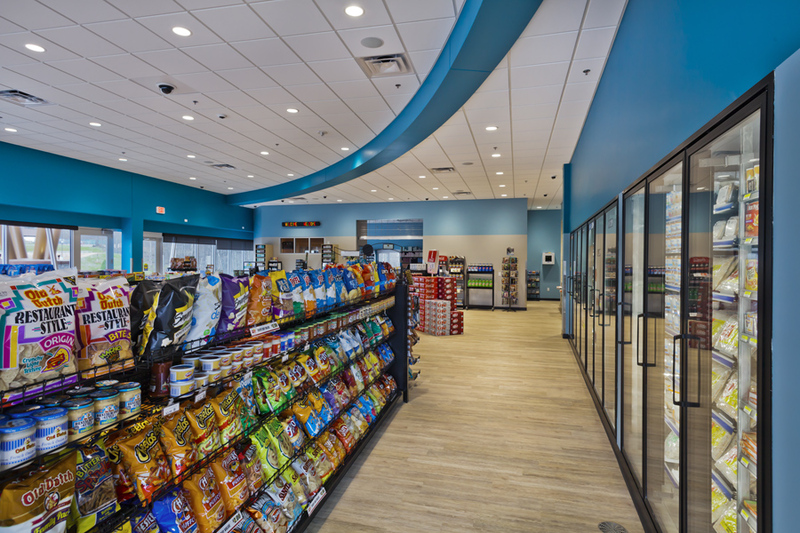 Additional items handled by the drywall team included renovation work at the RV park office and cold-formed, metal framing at the truck fuel-station canopy. The predominant challenge of this project was its schedule. Groundbreaking for the project did not take place until September 2016, and the tribe’s ambitious goal was to open the new facility on May 1, 2017, so as to not miss out on the busy summer travel season. It also wanted to minimize the amount of time that its existing gaming and convenience building, adjacent to the new structure, had to be shut down. With only eight months to complete the entire project from start to finish, all participating contractors were under the gun to complete their scopes. By the time that the Mavid Construction installers were able to begin their work, they were behind the original schedule and had to make up time. Add the frigid winter weather conditions of Northern Wisconsin, along with a rural location and the accompanying road conditions of winter months, and the challenges of this project mounted. 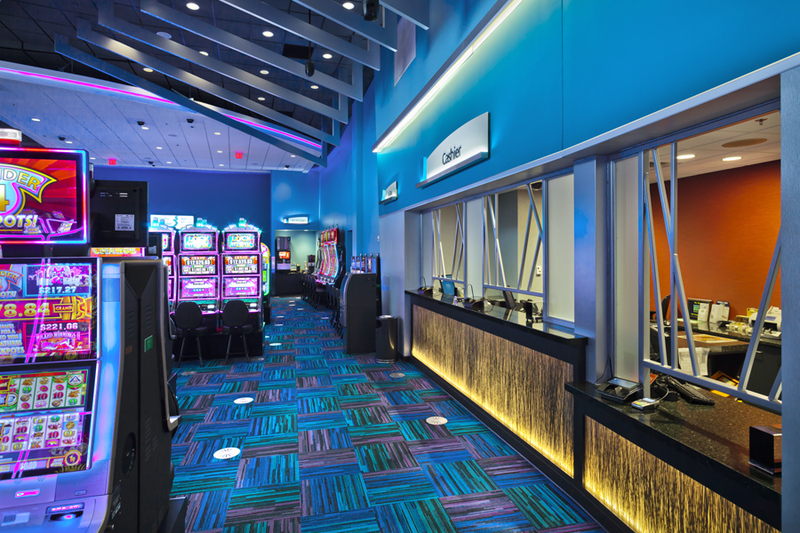 The new St. Croix Casino Hertel Express project also required value engineering on the part of Mavid Construction Managing Partner Zoar Fulwilder. Fulwilder closely collaborated with the owner’s rep of the tribe on materials in order to stay within established budgetary guidelines. Specific work challenges were successfully met by the Mavid carpenters. 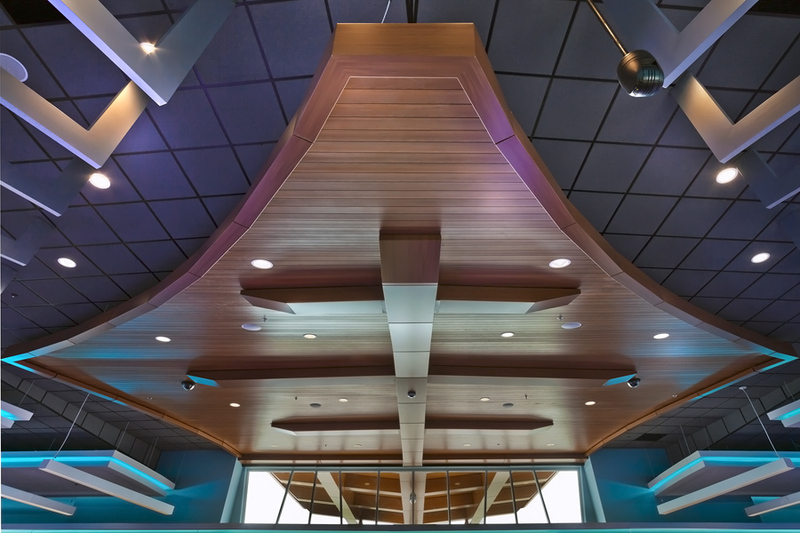 The facility has drywall soffits and ceilings throughout that were set at different heights in order to function with diverse types of material, like metal and wood. These soffits were curved and radius, along with being suspended from the roof structure at various elevations. The walls of the facility were similarly curved and radius. 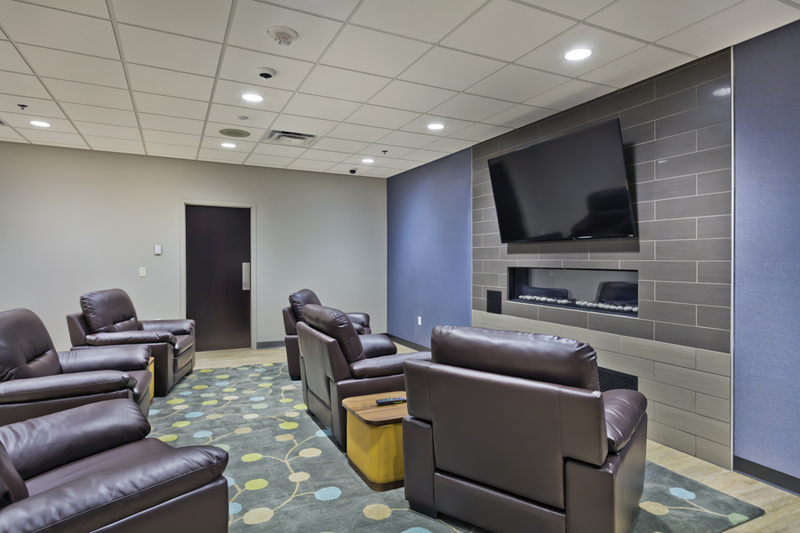 As with all of its Native-American projects, Mavid Construction maintained a strong commitment to workforce development within the local tribal community served, in this case the St. Croix Chippewa Indians of Wisconsin. Outreach was conducted with the tribe’s human-resources division, resulting in a number of tribal members working on the casino project on behalf of Mavid. 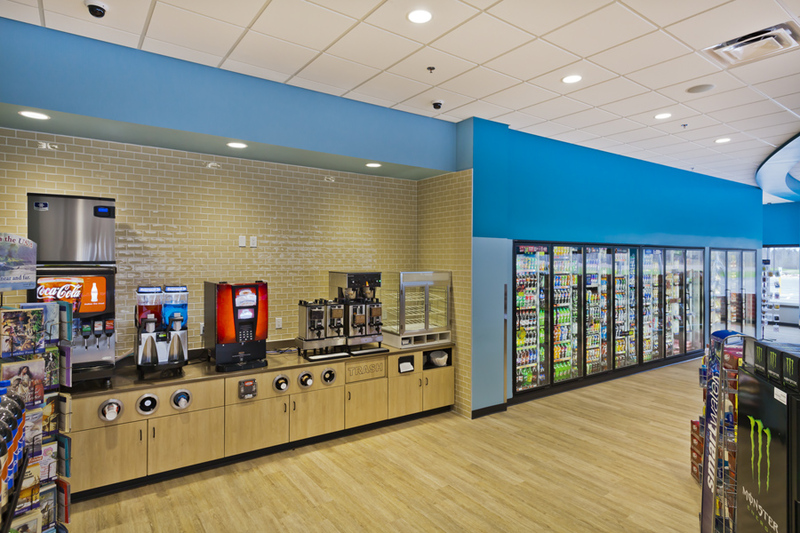 From a sustainability standpoint, Mavid Construction worked directly with the project owner to select environmentally friendly flooring products. Many of these materials were manufactured using recycled and renewable resources, according to the vendor. On the project site, in line with guidelines of the St. Croix Chippewa Indians of Wisconsin, all waste and excess construction materials were separated out so that they could be properly recycled. All work was completed in accordance with the stipulations.